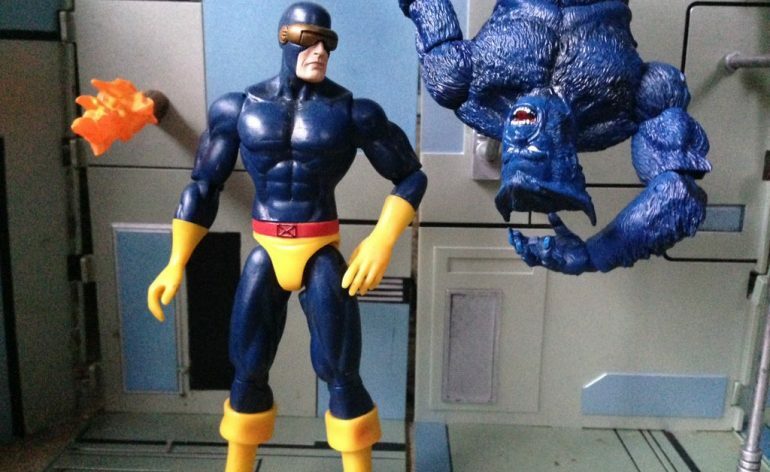 X-Men’s Genius Makes His Debut in The Marvel Select Line. 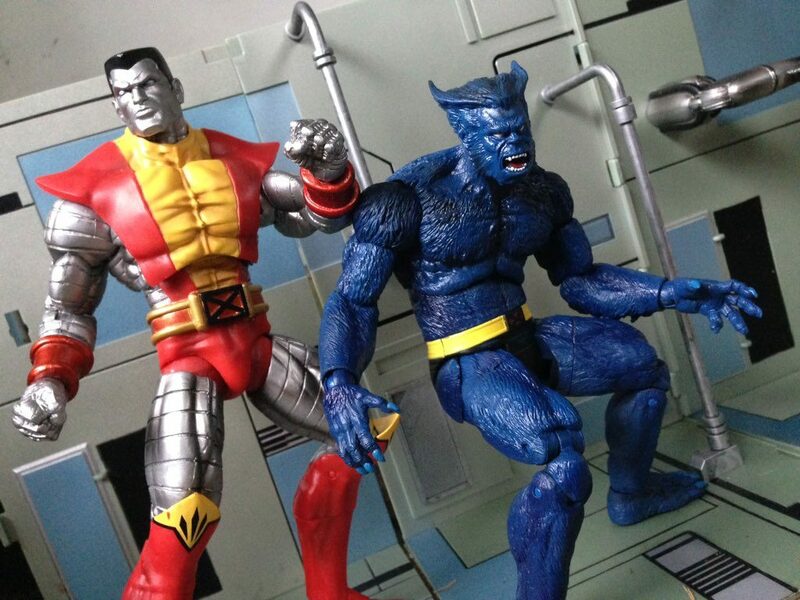 At Toyfair this year Diamond Select Toys revealed their latest comic book Select figure, which was Beast from The X-Men. It looked absolutely fantastic. 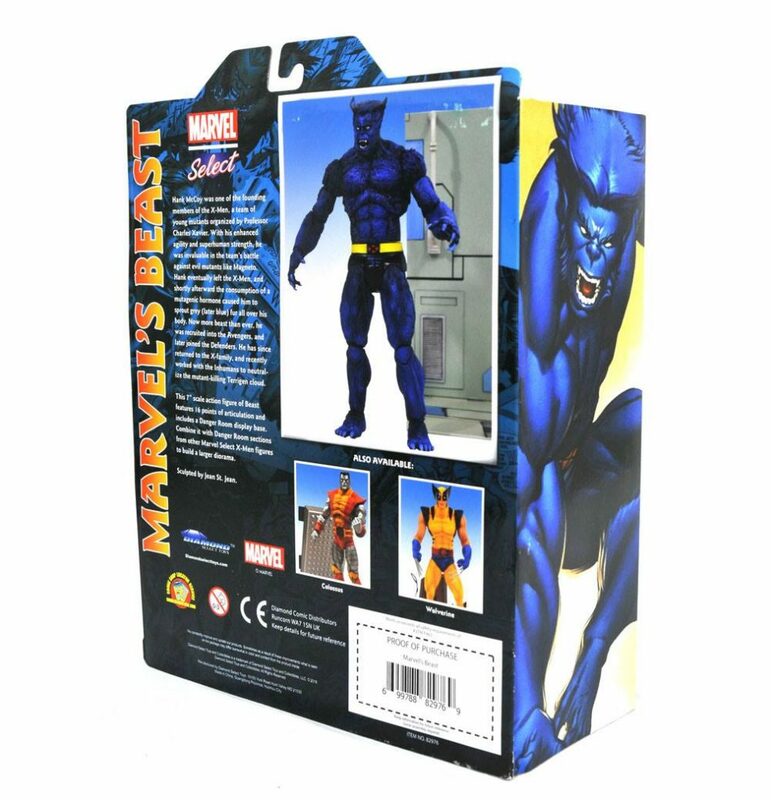 Now Beast is getting closer to release with final packaging shots and product shots of Beast in action. 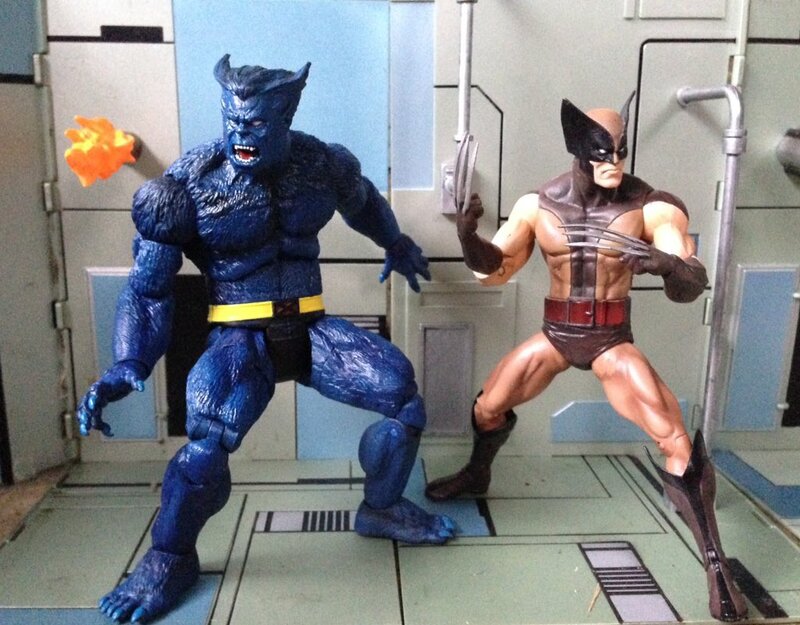 Much like DST’s other X-Men select figures, Beast appears to be based on his 90’s cartoon/Jim Lee look. I have to say Beast looks phenomenal. 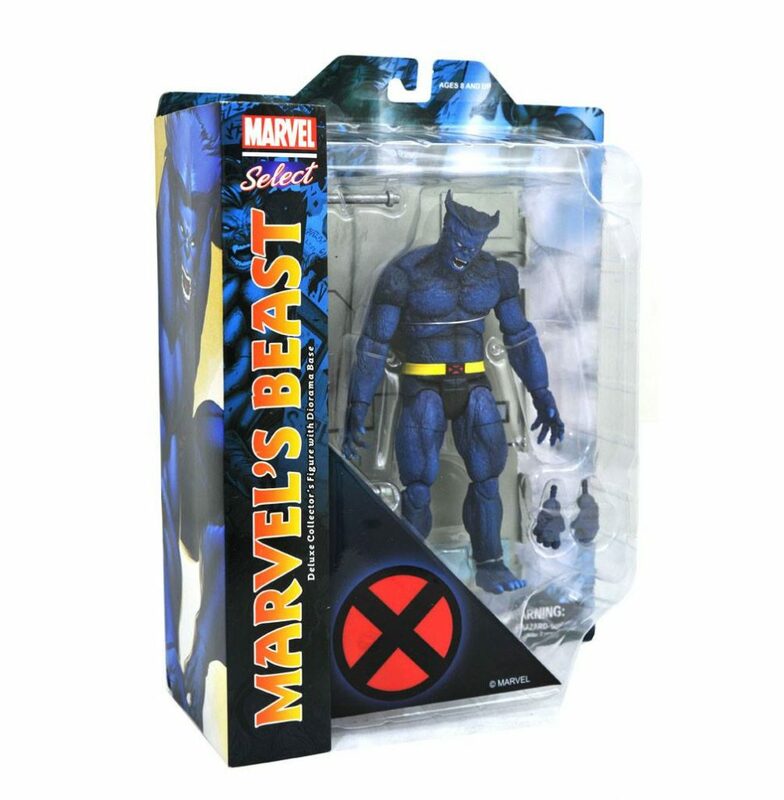 I love the sculpted fur on Beast as well as the animalistic looking head. 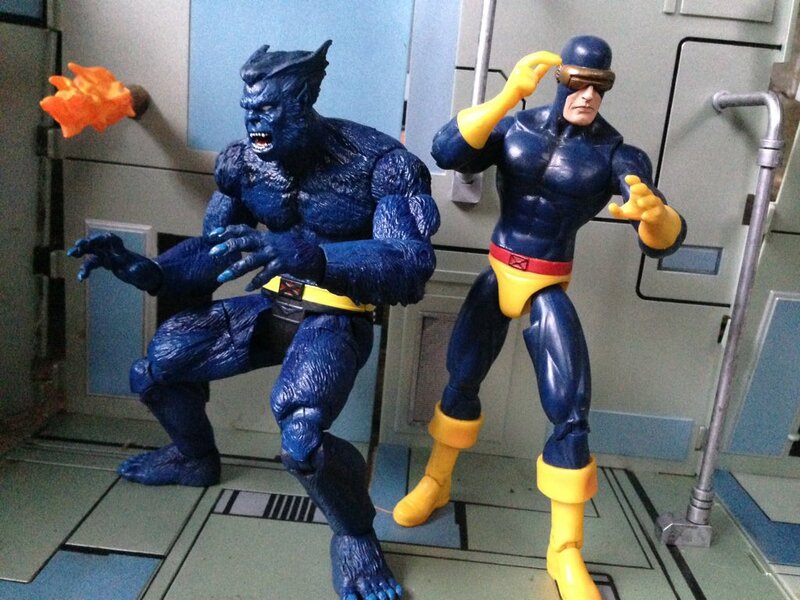 The paint job looks very clean on Beast and he’s highly detailed. Like all Select figures, he features 16 points of articulation and he includes a part of the Danger Room diorama. His part of the room features bars which Beast can hold and hang on the side of the wall. He also comes with a pair of interchangeable hands. DST has released a number of X-Men over the years and with the releases of Storm, Jean Grey/Phoenix, Emma Frost, Cyclops, Colossus, Nightcrawler, Wolverine, Gambit and Rogue coming out sometime later this year or next. 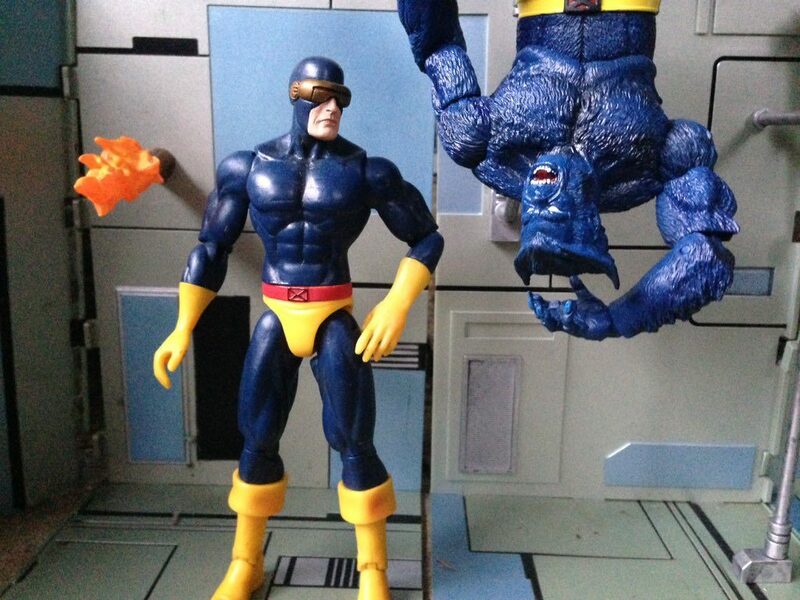 This figure is a must-have if your a fan of DST’s X-Men figures or a fan of the character as it’s an excellent figure. It’ll be released in all comic book shops later this month and will cost $25.